Apply to hands as required. This is a lovely hand cream. Really reasonable price, smells lovely (I think the other reviewer must have been reviewing a different product). It smells vaguely lemony, and it works for me!! The best hand cream i have ever tried. It is very hydrating and smells amazing and after using it for a few days only I can see an amazing improvement. As soon as you apply it, it leaves your hands feeling super soft and moisturised. I can't recomend it enough!! My experience with this product was overall ok. The cream comes in a plastic bottle which makes it easy to squeeze the product out, it smells like pharmacy medication, so it doesn't smell much at all. When I applied the product onto my hands it felt a little greasy. My skin didn't " drink" the product, I had to massage my hands for quite some time to get it to melt down. After a couple of hours my hands were still dry and sad. I honestly didn't feel any difference what so ever. I won't re-purchase it. This product is amazing! It's super hydrating and the results are long lasting. It has quite a thick consistency which I love, and a little goes a long way making this cream fantastic value for money. I would definitely recommend this to a friend and will be buying it again as soon as mine runs out! 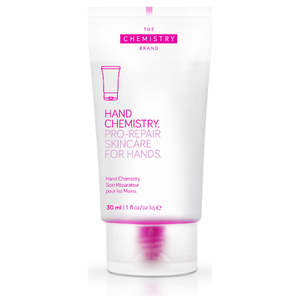 This hand cream is great for hands that need a little extra attention. It is lightweight, non-greasy and leaves no residue. My hands felt soft and moisturized and, after a couple of weeks use, the skin on my hands looks more youthful and feels smoother. I would definitely purchase this product again.